In California, you rent at fine communities like The Vue in San Pedro for several reasons. You might, for instance, be a fan of the idea of upscale apartment living in the city. Maybe you really love the area and feel that SoCal rentals grant the best chance of getting to the great places around town that you want to frequent. Or, perhaps there's something more specific, a time of year or particular event that drew you in and kept you around? For some, that event is the Happy Harbor Halloween & Pet Parade. Never heard of it before? Well, keep reading, then, because this is one event that you won't want to miss. "In 2014, the Port of Los Angeles unveiled the new centerpiece of the LA Waterfront: Downtown Harbor, located on Harbor Boulevard, between 5th and 6th Streets in San Pedro. Situated between the World Cruise Center and Ports O’ Call Village at the foot of the San Pedro Historic Waterfront District, Downtown Harbor is a vibrant, new public harbor and plaza that connects downtown San Pedro to the LA Waterfront." Now that we've set the scene, let's talk about this pet parade. It's an opportunity to celebrate Halloween right by the water, and starts with the titular parade from 10AM-11AM. Holiday costumes are encouraged, but not required, as they make the show even more of a spectacle for audience members to enjoy and remember. 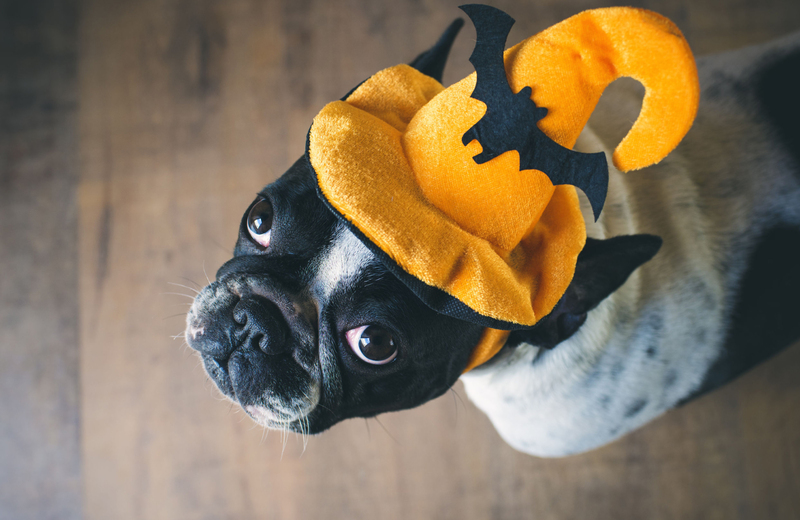 After the parade, it's time for the Halloween-themed festivities, including "a costume parade, music, reptiles, arts and crafts, face painting, games, and fun for kids of all ages." There's no exaggeration there, it's a yearly blast, and if last year's amazing showing is anything to go by, then this one will be a great time for all in attendance as well. Once the fun is done, though, you'll still have plenty of time to get in on some other Halloween excitement. There will be plenty of hours left in the day after 2PM, so here are a few things you might want to check out once the Happy Harbor & Pet Parade concludes. "Get into the spooky spirit with us! We'll be showing the movie Beetlejuice at sunset in Bogdanovich Park along with face painting, food trucks, creepy crawlers, and other activities. Bring your family and friends!" A great opportunity for those young ones who, for whatever reason, have not yet seen the classic that is Beetlejuice. Coupled with the other festivities on the docket, it's sure to be quite the show for all families in attendance. Another fun post-parade event will be Scary Stories 15. Around 6:30PM, at the Angel's Gate Cultural Center on South Gaffey Street, there will be an opportunity to "snuggle up around the bonfire for an all-new program of scary stories (with sound effects!) suitable for all ages." There will, of course, be plenty of space to spread out with your picnic blanket. Just be sure to dress for the weather, as the evening is liable to get a bit chilly. "Guests can trick-or-treat at 13 different treat stations, participate in creepy crafts, experience dreadful demonstrations, enjoy apparitional activities, dance like a zombie in the Party Zone or experience our haunted maze." In addition to all that, there will also be food trucks supplying a steady stream of hot eats for guests in attendance. Wearing a costume is advisable, and members of the Marina will get to attend for free. Of course, the Sea Scare only lasts until 10PM. If you're trekking with the family, this might be a good hour to turn in for the night. If you've not got the kids on your hands, though, you might instead be interested in checking out some more of what San Pedro has to offer. "2013 won't be the year that San Pedro Brewing Company's beers become worth drinking; it will hopefully be the year everyone realizes that the 13 year-old brewpub's beers have worth drinking all along." It's hard to go wrong with great beer and live music, so this will be one event that will mark the perfect ending to thrilling day celebrating Halloween. Well, it's almost the ending. There's still one place left to go. So you can return to a good spot once you're done with action-packed days like this one. The Vue has it all, when talking about rentals in SoCal, with it's mix of chic and secluded all rolled up into one. It's close enough to everything you want to do and see in San Pedro, from the gorgeous parks, to the farmer's market, to the harbor, and beyond. It's private enough, though, that you don't feel overwhelmed by the bustle of city life. The building's units offer a little something for everyone, from one-bedroom to three-bedroom floorplans, all in that modern, high-rise style. Topping off the package are the community's many fine amenities, designed for resident comfort and representing the best in modern convenience. This is how living in San Pedro is supposed to be—come see for yourself.